I did this piece for a special event (Tertúlia de BD de Lisboa - a monthly dinner where a lot of active portuguese comic fans and creators gather to eat, draw and talk) on which I was a special guest this month. 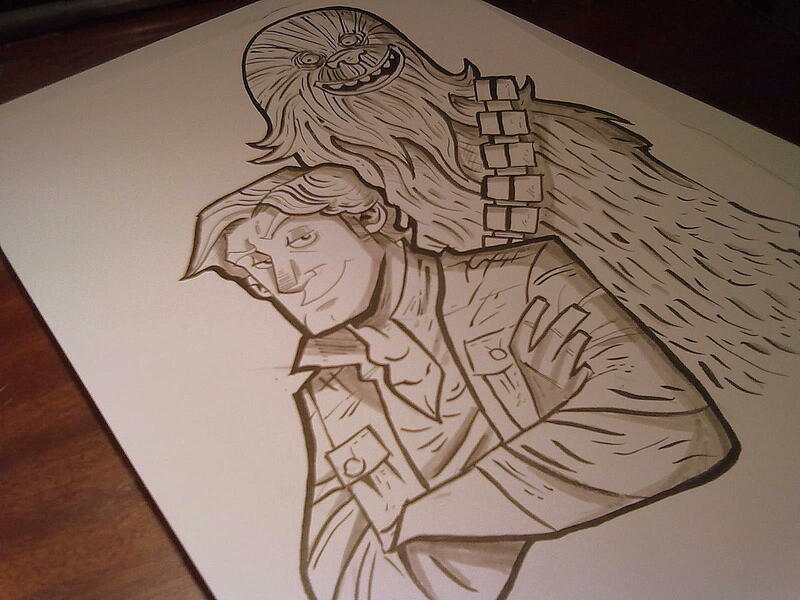 Han and Chewie, everybody! Me and Pedro have been revisiting the Star Wars saga, so when I sat down to draw, this immediately came to mind. I apologize for not updating the blog in a while, but I've been working on a lot of stuff that I can't show right now. Good news is that in a little while I'll have a whole new batch of comics to show!